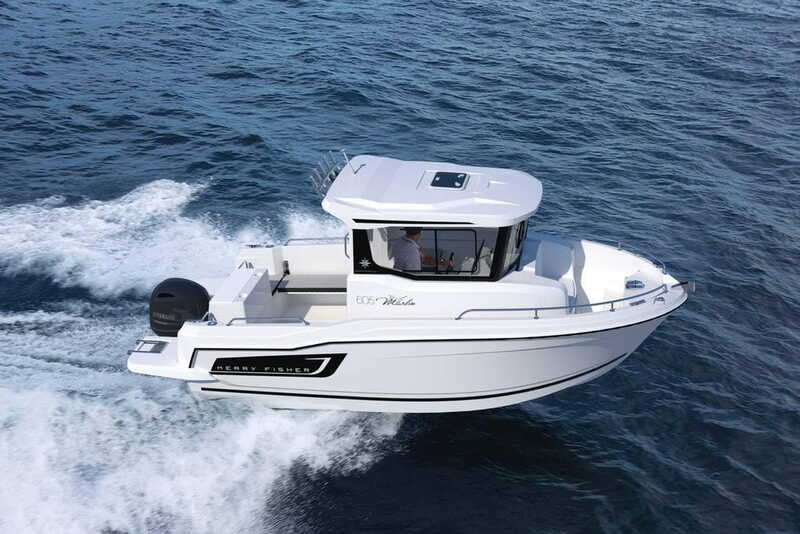 The high-performance hull, the layout, and the ergonomic design for fishing make this an extremely easy to handle and safe boat. First and foremost, its design has been carefully studied for fun, sporty outings. The large, flush aft swim platforms, the starboard side recessed sidedeck, and excellent visibility with large windows all contribute to an exceptional level of security on board. Her tilting engine adds to the functionality of this fishing model. The open, flush wheelhouse enables excellent access to the cockpit. In case of heavy weather, it can be fully closed. 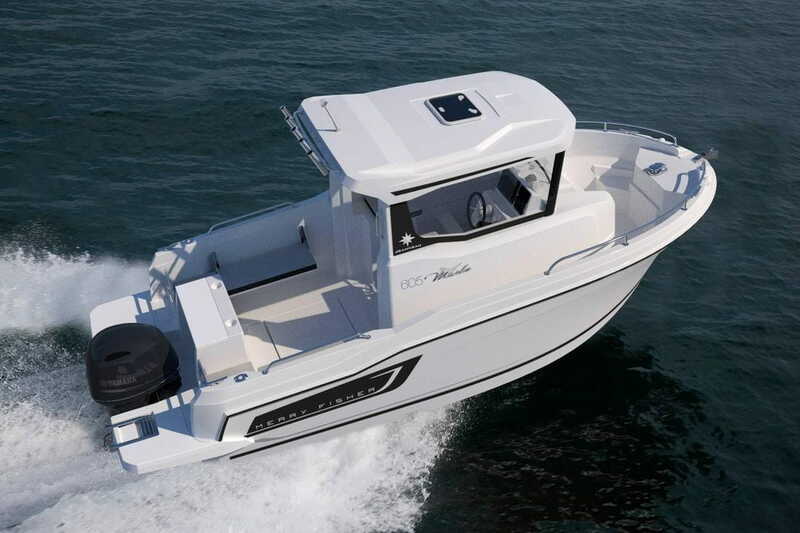 This very comfortable model includes two lateral seats aft, as well as two seats (pilot and co-pilot) in the wheelhouse. This model also features an incredible innovation: in order to drive the boat from the exterior, the dashboard slides to the aft of the wheelhouse! This is a practical concept for secure navigation and manoeuvres, particularly while single-handed.